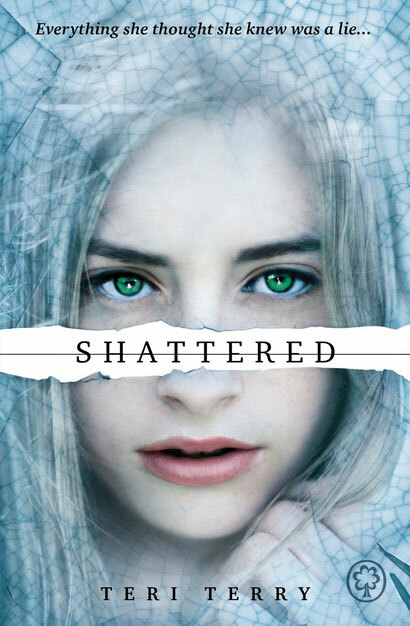 Shattered: the UK cover of book 3 of the Slated trilogy! To celebrate the cover release, there are a few lovely bloggers doing giveaways! In the UK - JessHeartsBooks (open until 12th Sept). So...what do you think of the cover? Oh just wondering when will u write the blurb up on your website for shattered, because I can't wait? Thank you so much! And I hope to have the blurb up soon - we've been working on it for a while now. I can't wait for shattered! I was hooked from the first pages of Slated and now we have to wait! The cover is amazing- they're what made me notice the books at first ( so glad!). I think that you're going to visit my school sometime in October actually- the only problem is that you're seeing the year 8's and I'm in year 10 :( I will try and persuade my teachers to let year 10 come and say hi as well! Hi Jo, thank you! hope I'll get to meet you at your school. So excited for Shattered! Slated and Fractured were both amazing and the cover looks great! I finished fractured last night, I can't wait to read this one now! I can see Kyla going down the route of Lucy for this one though :) your work is great Teri, keep writing! Hi i just finished Fractured and let me say it was great! I couldn't put it down! if you're interested here's a link to my review... http://2bookjunkies.blogspot.com/2013/10/fractured-review.html ... and if you every need anyone to host a giveaway I wouldn't mind :) last when will the US cover for Shattered be released? your books are incredible cannot wait for number 3 !!!! Beautiful and so unique. Standing alone and weak, but it looks like Kyla, Rain and Lucy have united together and are going to win this war. Intelligent, enchanting and powerful. Love it! This series is amazing and i read each book within a few days. I could not stop reading with all these diffrent twists in it and it was purely amazing. Favourite books so far! !